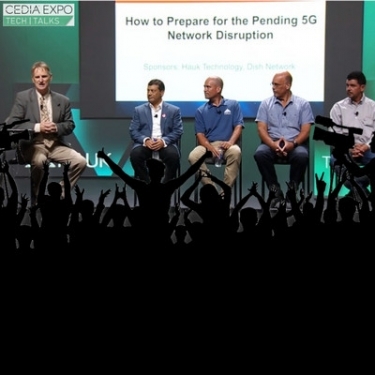 CE Pro's Jason Knott leads CEDIA Expo 2018 roundtable on 5G and its impact on IoT, content delivery and the home-technology integration channel, with: Frank Defilippis, Dish Network; Mark Vogel, Hauk Technology; Ron Fleming, Voxx Accessories; Joe Whitaker, The Thoughtful Home. 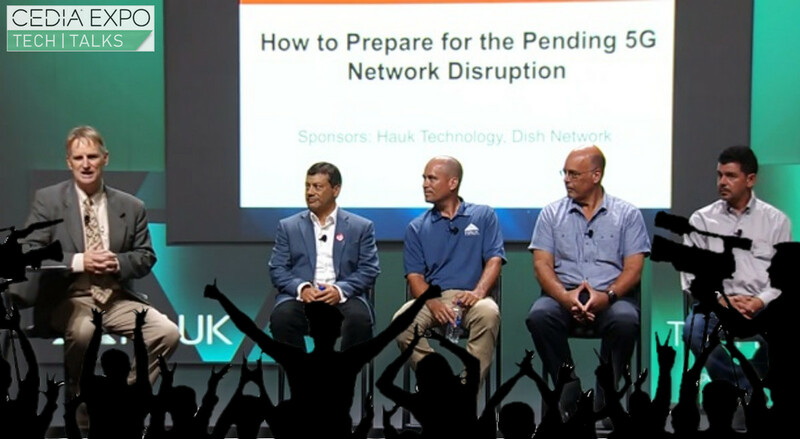 With 5G's impending role in everything from low-rate IoT to high-speed video, Knott refused to apologize for the session’s provocative title, “How to Prepare for the Pending 5G Network Disruption” – perhaps the conference equivalent of click bait. There’s “nothing but opportunity,” he says of the multiple use cases for 5G’s various bands – low-speed, long-distance for such applications as agricultural controls; short-range but super-fast for driverless cars or drone networks. 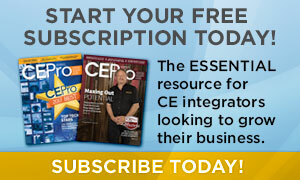 The radios are inexpensive, the network can be blazing fast, and batteries can work for a decade, Defilippis explains. Most importantly, Integrators own the relationships that touch so many of the services enabled by 5G. "Pay attention and get ready," he advises. Defilippis describes the three biggest benefits of 5G, starting at 4:59. Today, we consider cellular service mostly for mobile phones, which is pretty much the only electronic system integrators don’t touch, Whitaker explains. But when 5G comes along, the wireless technology will grace anything with a chipset. What 5G means for network security, starting at 14:01. Why Whitaker is excited about 5G prospects for the channel, starting at 27:25. Mark Vogel’s company Hauk Technology manufactures “signal-transparent surfaces” that allow satellite, 5G and other wireless signals to pass through roofs and other obstacles that might otherwise thwart these delicate radio waves. Operating at higher frequencies than earlier generations (3 – 300 GHz), 5G really hates obstacles like torrential rains and buildings. Hauk opens a virtual window to the finicky signals with an RF-friendly membrane that is applied to the exterior of a building, doubling as a skylight or blending into the rooftop material. “We’re looking forward to wireless communities and wireless in our homes,” Vogel says. “Behind our panel, that’s where all the data is received in your house” and then amplified and distributed as needed. An RF cloak of invisibility? Vogel explains the technology at 11:13. Ron Fleming is a former CEDIA VP now at Voxx Accessories, developer of a wide range of consumer electronics from antennas to speakers to baby monitors. And who better to get consumers excited about 5G? The integrator, of course. 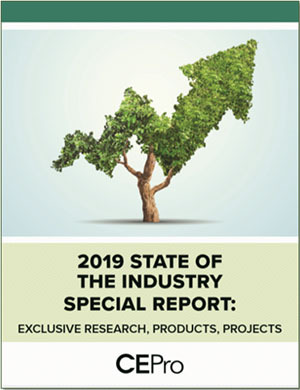 Fleming suggests dealers get educated on 5G because clients are likely to turn to them when the reality of M2M device-to-cloud solutions sets in. What kind of 5G “kits” are vendors like Voxx likely to offer? Skip to 18:00.